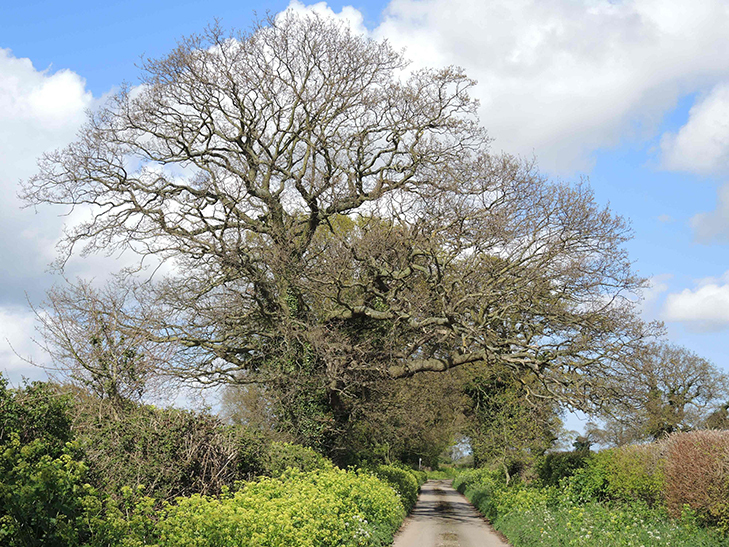 Our fabulous native oak, c. 130 years old with zingy bronze-lime spring foliage emerging. Ravishing everyday at any age. The king of British trees.